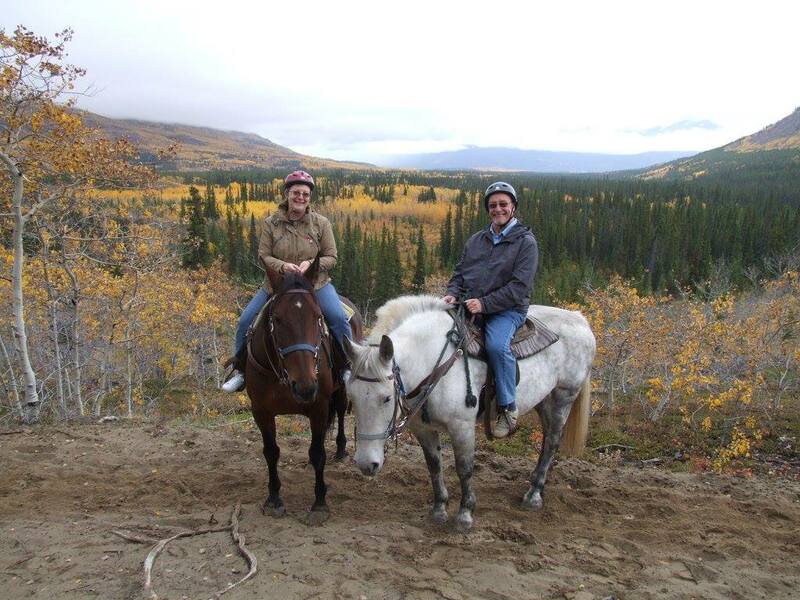 GOLD RUSH RIDING STABLES IS THE PLACE TO COME FOR AN EXCITING WESTERN COWBOY/cowgirl RIDE! There Is A Horse Waiting For Every Age Group At Gold Rush! 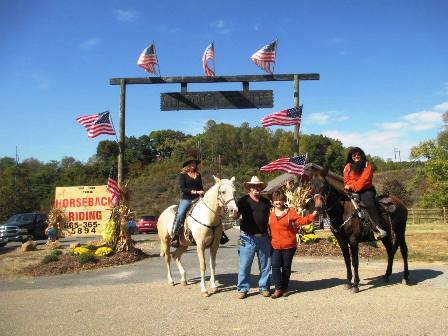 Gold Rush Horseback Riding Stables truly are the FIRST, and ONLY horseback riding stables in the City of Pigeon Forge! But how can this be with so many riding stable listings in the Pigeon Forge area? The keyword here..."CITY." All others are located in the county! Interesting! Right? So what's so special about these folks? What do they have that the others don't? EVERYTHING! 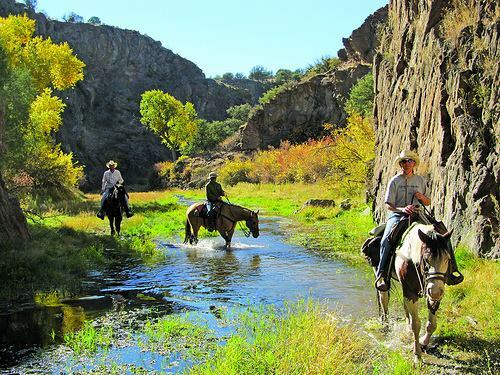 From beautiful landscapes, to gentle horses and Christian values, these stables have everything it takes to make your horseback riding experience one you'll want to relive over and again! GENTLE HORSES - Not only are the horses beautiful, they're very loving, and gentle. Every rider from beginner to the most experienced is accommodated. Weight is not an issue and every customer receives personal attention. I enjoyed visiting with these horses. I even received a loving "horsey-hug" from one of them. Every horse is so manageable that even a small child can ride! SCENIC TRAILS - Some of the best scenery in the Great Smoky Mountains area can be viewed from this Pigeon Forge attraction. There are five trail levels to choose from. A one- hour tour takes you into farm pastures, by creek waters, and through natural, green hollows. 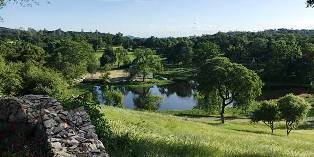 The most lovely views are from an overlook stretching miles across the city, and looking down upon Dolly's DreamMore Resort,. Breathe fresh, mountain air surrounded by majestic mountainous peaks as you move forward. Each customer is treated kindly and with the utmost respect. As a matter of fact, every ride is scheduled by appointment. Those working here understand the importance of their visitor's time. They believe the horses should be waiting for their riders, not riders waiting for their horses! 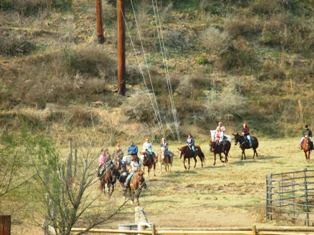 The cost for a one-hour trail ride is only $25.00 per person! This one and only horseback riding stables of Pigeon Forge is located at just off Veterans Blvd. It sits directly across from Dollywood Splash Country, and within walking distance of Dolly Parton's DreamMore Resort. For more information, or to make reservations, call Peggy Wilson at 865-365-5894 or click this link to go directly to their website. goldrushstables.com. 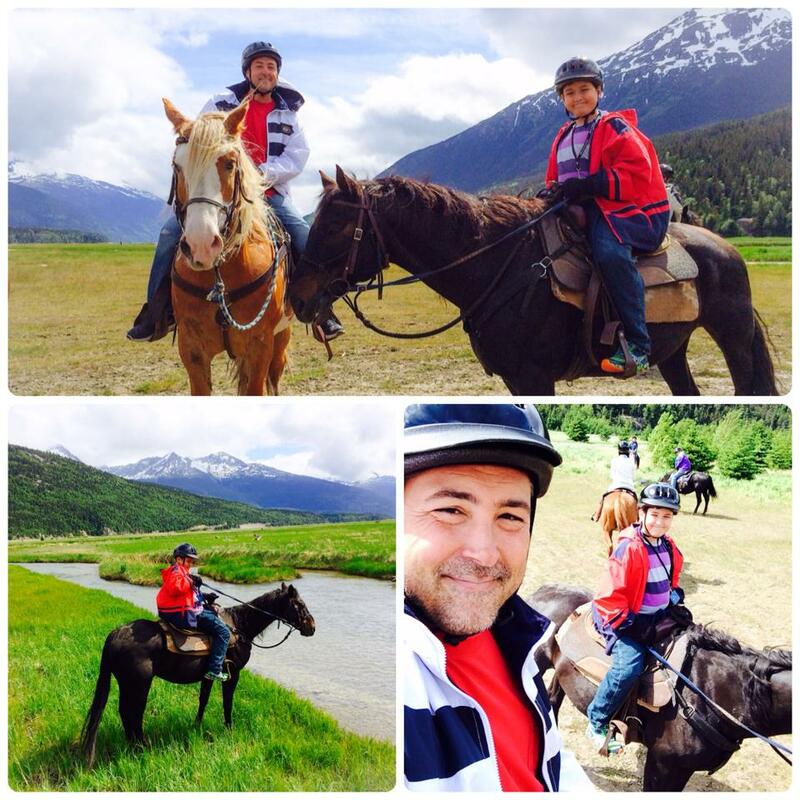 Gold Rush Riding Stables offers a "real cowboy" experience inside a western setting! It's the perfect place to wear those fashionable hats and boots so you'll feel like a real cowboy/cowgirl! Don't worry about the horses! They'll do their part to give you the ride of your life! Visiting the Great Smoky Mountains is an exciting experience! Make it even more enjoyable with a scenic ride though the lovely wooded trails at Pigeon Forge's only horseback riding stables - GOLD RUSH RIDING STABLES.